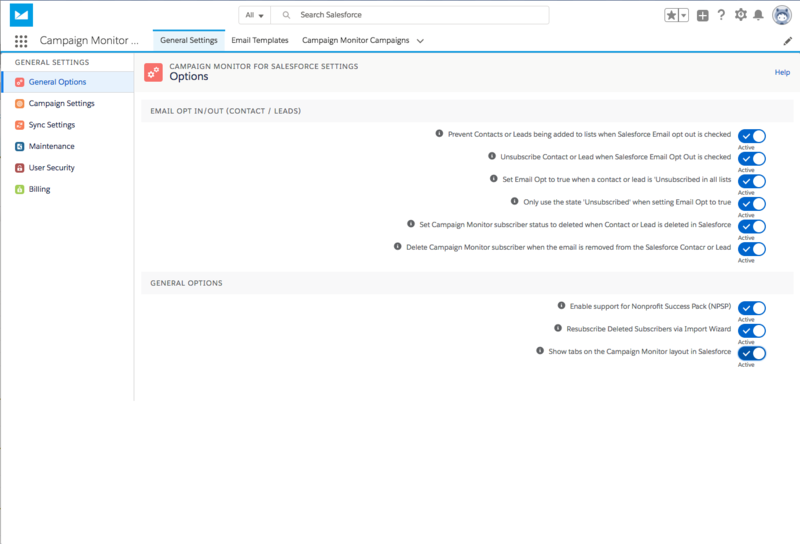 Contact, Lead and Campaign page layouts are automatically updated when you complete the Campaign Monitor for Salesforce setup wizard (unless cancelled during setup). If for any reason you need to undo this automation or you have and want to re-apply the page layouts follow these instructions. From here choose Remove Layouts. From here choose to Setup Layouts. Two related lists added to contact and lead pages are Subscriber List Memberships and Email Tracking Statistics. The subscriber list memberships displays which lists the contact or lead belongs to. It also provides buttons to quickly add contacts or leads to lists, or unsubscribe them from all lists. Email tracking statistics shows how individual contacts and leads are engaging with your email campaigns. For Salesforce campaigns, you will see a new section with fields allowing you to see rolled on tracking stats. On the Campaign Member related list there is an Add Members to Subscriber List button.